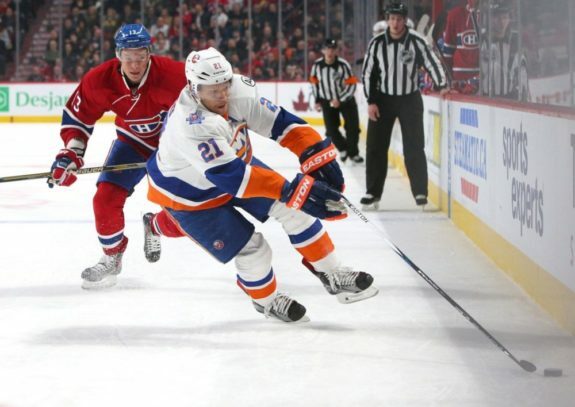 Twenty-two year old Kyle Okposo is slated to make his season debut with the New York Islanders tomorrow night on Coliseum ice when they face the Washington Capitals. Okposo had been reportedly practicing with the team over the past few days after having spent some private sessions with Bernie Cassell, the team’s Skill Development Coach. He has missed every game so far this season due to a shoulder injury that was suffered during the pre-season that required surgery. This news comes at a great time as the team was on a bit of a roll before hitting a few bumps in the road, recently losing 5-2 to the New Jersey Devils on Monday. The Islanders were winning games and taking points out of others, including two overtime losses to the Colorado Avalanche and the Vancouver Canucks, but have hit a skid of 5-4-1 over their last ten. Okposo supplies the team with leadership, skill and grit, as he is a strong and reliable power forward; an element that this team has lacked on offense all year long. There are plenty of guys that go hard to the net, such as Matt Moulson and Trent Hunter (who is still injured), but not many do it as polished and consistently as Okposo. Perhaps KO will be able to light a fire under Josh Bailey and get him back on the score sheet or pick up his scoring touch if placed on a line next to the red hot John Tavares. 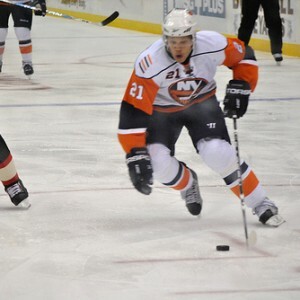 Okposo will eventually provide relief to a team that is limited offensively. However, KO has missed more than the first half of the season; a rusty performance is likely at the start as well as time being necessary for #21 to get himself back on track. But regardless, having a player of his calibre certainly is an improvement on any roster. Plus, Okposo had made big strides in his development last season. He improved his point total from his rookie season by 13 points, (19 goals and 33 assists) but was a whopping -22. Granted, it’s not easy keeping a positive +/- on a team that is at the bottom of the standings, but Kyle will have to pay a lot of attention to working on his defensive game. It will be key for Okposo to try to build off of last season’s success as much as possible over the remaining 39 games.